PRICE REDUCED-NOW LESS THAN $100/SF!! 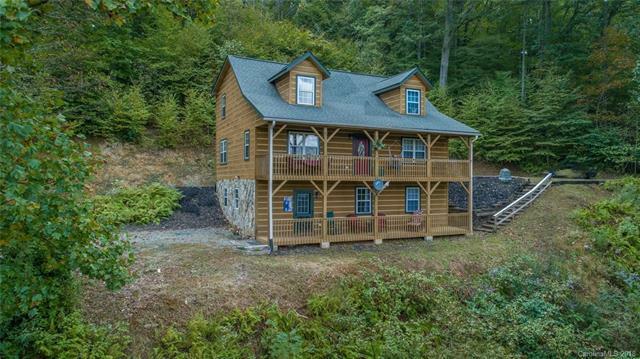 Enjoy privacy and views without having to go "off the grid"! 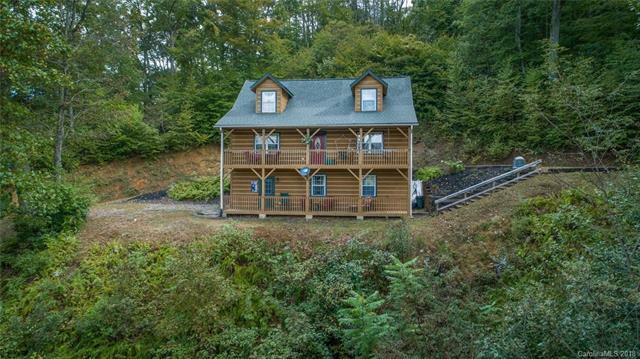 Adorable log cabin offers 2,855 sf on 3 levels, 3 bedrooms (could use as 4), 4 1/2 baths, and unlimited floor plan options. Updated kitchen sparkles w/granite counters, stainless steel appliances, and lots of cabinets. Open concept kitchen/dining area leads to great room w/ huge vaulted ceilings and a stone fireplace. Beautiful pine floors on the main level give this a true feeling of a mountain retreat. Master BR options on all levels! Basement could easily be converted to 2nd living quarters. 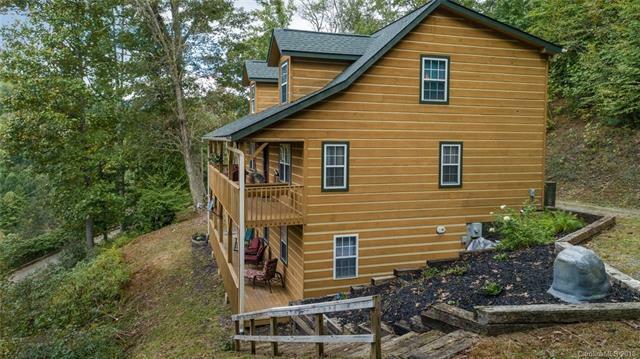 Big front porch/lower level deck to enjoy the views and an easy to manage yard. 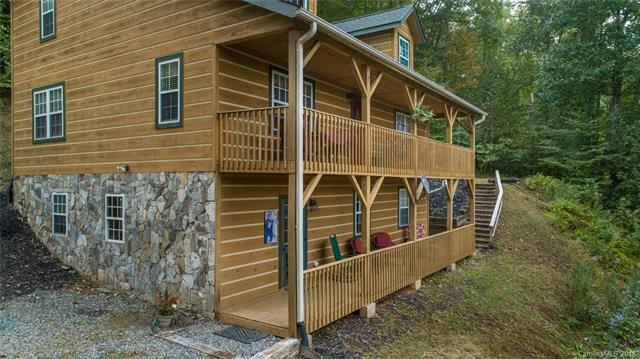 Perfect for full time or vacation home, vacation or full time rental, etc. 7 minutes to I-26, between Asheville and Johnson City (30-40 minutes), close to Mars Hill and Weaverville. NO HOA dues. Updates are complete and nothing left but to enjoy this great home. Shows great and you'll love it the moment you see it! Offered by Whitesell Real Estate Group. Copyright 2019 Carolina Multiple Listing Services. All rights reserved.